(Retd. )Professor, Department of Aerospace Engg, IIT Bombay. Indian National, Born at Intur, Guntur Dist., A.P. on 15th Nov. 1941. 41 years of Research and Development and Academics. 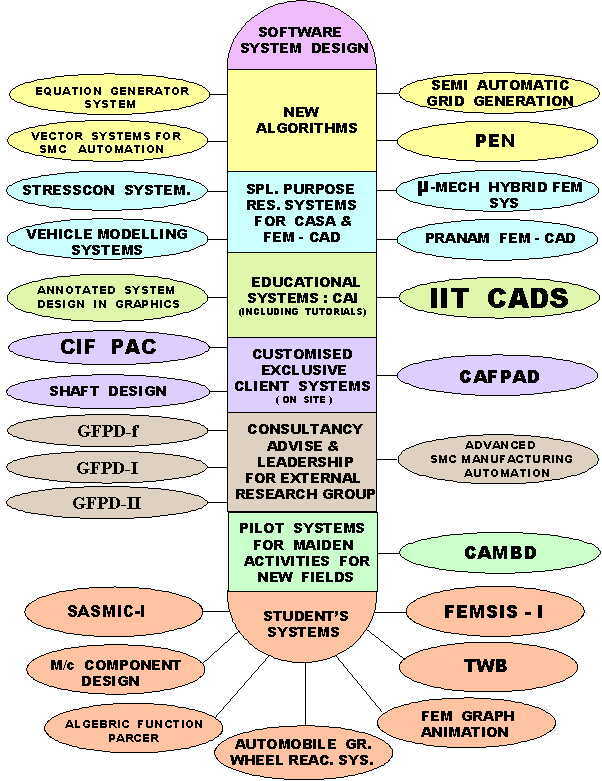 Fields include FEM, Modelling Techniques, Applied Mechanics, Solid and Structural Mechanics, Aircraft Structures, Computer Aided Design of Structures (CADS), Computer Integrated Manufacturing (CIM), Vehicle Structural Modelling, Model Based Design (MBD), Computer Aided Model Based Design (CAMBD), Computer Aided Instruction (CAI) and design of exclusive Software Systems for the above. CIFPAC, CAFPAD : Projects for Sheet Metal Component (SMC) Manufacturing activities of Aeronautical Development Agency (ADA), Min. of Defense, GOVT. 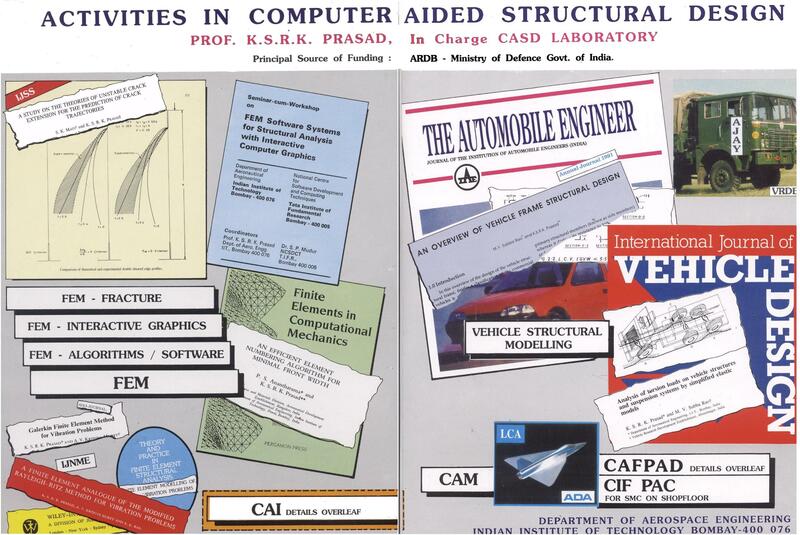 A/c Structures Lab, IITB (I/c., 73-85) and Structures lab (IISc), Central Sound and Vibration Research Facility, CASD Lab. (Computer Aided Structural Design laboratory), Vehicle Test Rigs for validation of Vehicle Structural Models [ Vehicle Res. Development Establishment, Ahmednagar], Establishment of AERO.-Mech. Engg Labs etc., at IARE, HYDERABAD-43. AIAA(70, 73), Jnl.of AIRCRAFT(07), IJNME(72), IJSS(80, 99), IJVD(89), IJPR(04,05),IJCC(06), JIAE (91), JAeSI (70, 82), ISVR U.K(71), FESA Tokyo(73), ICFMEA Bangalore(79), FEICOM Bombay(85), RAASE Bangalore(92), National Symposia in the fields of Software Development, Reactor Engineering, Interactive Graphics, Newer Fibers, Aerospace Structures, Structural Dynamics, Vibration & Noise Control, Composites, Automotive Technology and a Monograph on Foundations of Finite Element and Modelling Methods (2000). B-Tech and M-Tech programs at IIT Bombay in Principles of Aerospace, Civil and Mechanical Engineering Disciplines, Structural Mechanics, Vibrations, Structural Dynamics, FEM, Solid Mechanics, FractureMechanics, Experimental Mechanics, Computational Techniques and Modeling Methods. All India Graduate Aptitude Test in Engineering (GATE) for IITs as well as for several Universities in Mechanics, Machine Design and Dynamics. SENATE of IIT Bombay (since 1973), Syllabus committee of the COUNCIL of Ae.S.I. and Selection committees of IITs / NAL / ADA for positions of Professors and Sr. Scientists, Convenor(Aero. ), Board of Studies, JNTU, Hyderabad (Since 2005-Todate). Study Tours of USA (1992, 1994, 2002,2005,2006).